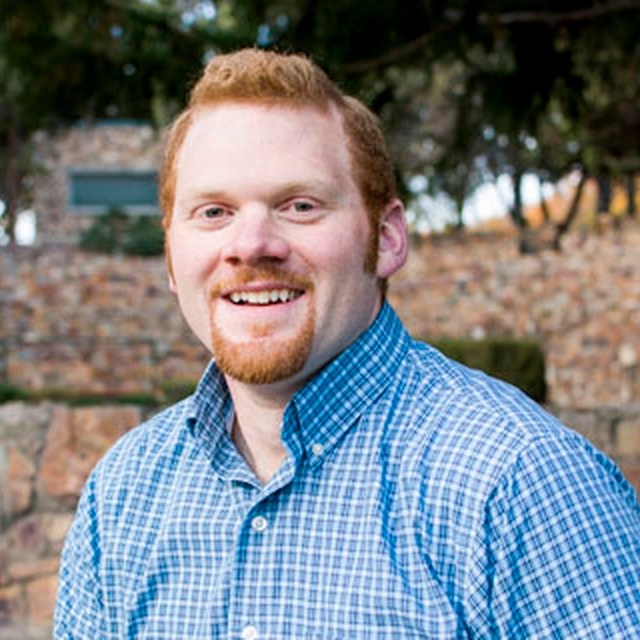 A former search marketer, AJ Wilcox has years of experience in all types of digital ads, yet chooses to work with just one channel: LinkedIn. Staying niche has allowed AJ to earn the trust of enterprise clients, for whom LinkedIn -- and AJ's agency -- is a strategic source of new leads. Through numerous speaking engagements in the U.S. and abroad, Wilcox has become the go-to person for his expertise. According to AJ himself, he might just be “the world’s best” in LinkedIn ads. In this article, AJ shares concrete tactics every LinkedIn advertiser can use to take advantage of the LinkedIn advertising platform, without letting it wipe out your entire ad budget. He argues that a simple cut in the character count can lower your costs, and a visually interesting graphic can improve click-through rate without appearing “clickbaity.” He explains why you should always use a “soft ask” in a LinkedIn ad -- and when it’s okay to break the rules. For Sponsored Content, LinkedIn has a 150 characters maximum limit to avoid truncation across most devices. But if you scroll through your LinkedIn feed, you’ll see that brands rarely stay within the character limit. That’s a costly mistake. According to AJ, these brands end up paying for the wrong clicks. Brands like LinkedIn, Phillips, General Electric, HP, and many others love the color blue: it’s tranquil, orderly, and perfectly “corporate.” Incorporating blue into the brand identity is a safe choice. For ads, however, the safe choice may backfire, as your image can get lost in the news feed. “LinkedIn color palette is also blue, so it makes it harder to stand out,” AJ says. “This ad is very well put together, visually interesting to look at. But it’s very heavy in blue because of the blue sky,” AJ comments on the Salesforce ad (featured above). Contrary to the popular belief that good ad design shouldn’t make people think too much, adding an element of curiosity can increase your click-through rate. This is not to say you should design images in the best tradition of clickbait. After all, clicks are so expensive on LinkedIn. (See the latest LinkedIn benchmarks we posted last week to see how much exactly they cost in 2018.) But a visually interesting image, such as this one below from Branch, can be effective. Notice that Branch doesn't trick you into clicking. 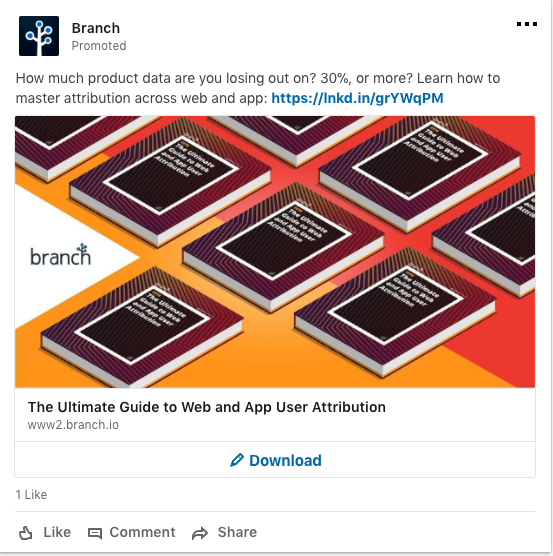 In fact, you probably already know that the book on the image says “The Ultimate Guide to Web and App User Acquisition,” same as the headline, but you still pause for a moment to read the copy. 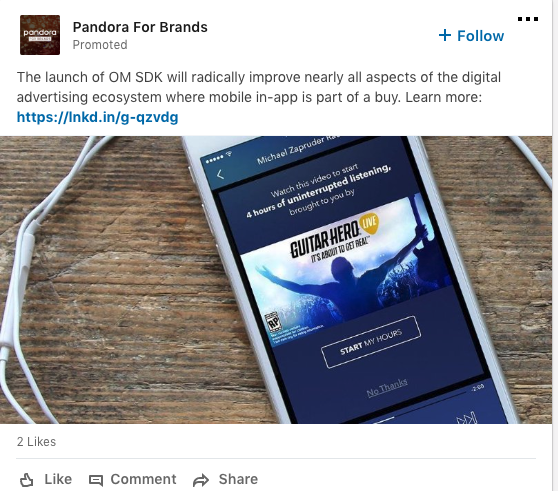 Social media ads make it very easy to reach customers at all stages of the buyer journey. With granular targeting, you can find your in-market audiences and make a compelling sales offer. But AJ says, on LinkedIn, brands should offer value and build the relationship first. 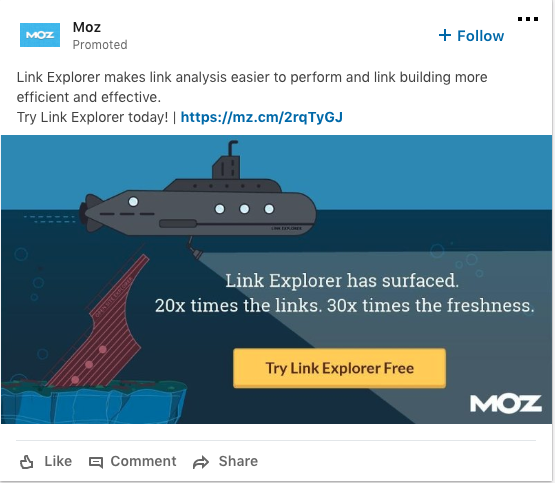 In this example, Moz is also using an ad unit called “rich media” instead of the traditional Sponsored Content. AJ recommends to choose Sponsored Content to take advantage of more clickable real estate. “They miss out on having the headline. In Sponsored Content, you can have the line at the top, the image, and another headline at the bottom,” AJ says. 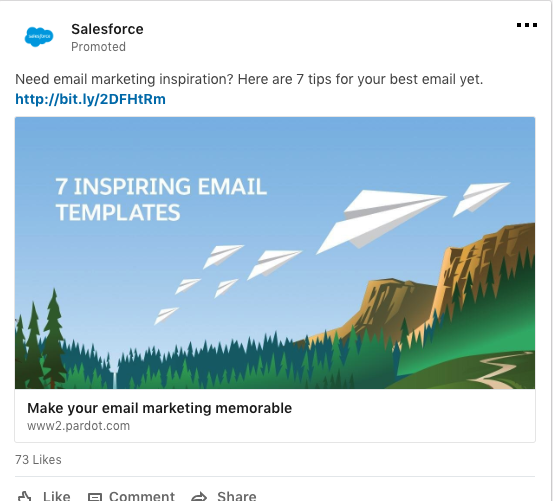 In just the two cases, you can break the above rule on never using bottom-funnel CTAs in LinkedIn Ads. (AJ calls it “asking for marriage on the first date” rule.) “You can do this with job offers and college enrollment,” AJ says. LinkedIn ads can be a great lead generation channel, or a major cost for your business. While testing is ideal to figure out what works best, the trial-and-error method may be expensive -- especially on LinkedIn. The tried-and-true tactics from AJ may help you improve conversion and cut costs without spending a dollar. To stand out in the news feed, choose colors other than blue, and go for visually interesting graphics that ignite curiosity. Take advantage of more ad real estate with Sponsored Content units, but limit your character count to recommended to avoid wasting money on the wrong clicks. Leave the sales pitch for after you’ve built the relationship through valuable content and “soft asks,” but play it assertive when it comes to hiring and college recruiting.